Terms Of Service | auspOp — Australia's first stop for pop music! Here come the boring bits. 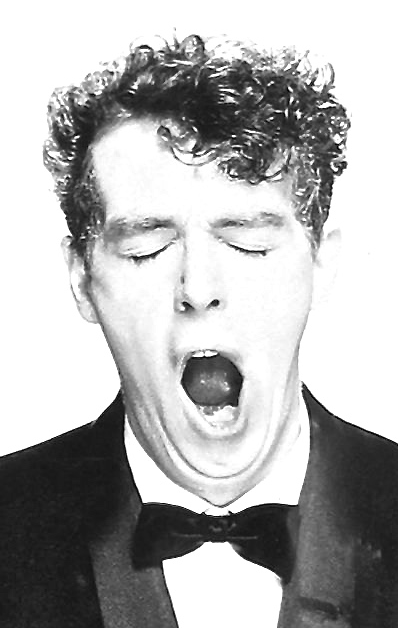 (That said, being boring isn’t really one of our strong suits… Just ask Neil). The following terms and conditions govern all use of auspOp.com.au and all content, services and products available at or through the website, including, but not limited to, auspOp.net and the former content of auspOp.blogspot.com.au (taken together, the website). Sorry, even we dozed off a little sifting through that lot. By accessing or using any part of the web site, you agree to become bound by the terms and conditions of this agreement. If you don’t agree to all the terms and conditions of this agreement, then you may not access the website or use any services. If these terms and conditions are considered an offer by auspOp, acceptance is expressly limited to these terms. Due to some of the content and language at times featured on the site, we recommend that the website be made available only to individuals who are at least 13 years of age. All written content on this site is © auspOp and all rights are reserved. So are the lefts. All copyright content (including, but not limited to, cover images, artist images, promo shots, logos, videos, audio files etc) remain the property of their desperately creative and highly attractive rightful owners. They are the gods and goddesses of creation, after all. We do not, never have and never will offer illegal downloads, nor will we link to sites that do. It’s all very much above board here. auspOp reserves the right to display advertisements on the website. (i.e. We work hard for the money, so you’d better treat us right). auspOp can’t guarantee the accuracy of the content on the site (a lot of the time it comes from official external sources). It’s provided to you as is and on an as available basis and on the condition that you undertake all responsibility for assessing the accuracy of the content and rely on it at your own risk. All content on the site may be changed at our discretion and without notice. auspOp also can’t guarantee that all functions of the site will behave in the way they’re designed to; but we’ll make every effort to ensure they’re kept in good working order. auspOp will have no responsibility or liability in relation to any loss or damage that you incur, including damage to your computer, tablet, mobile phone or their software and operating systems, arising from your use of the site. You indemnify auspOp and its owner and contributors against any action, claim, loss or expense which it incurs which arises from your use of the site. You’re more than welcome to make comments here on the site. But you remain solely responsible for the content contained within your comment. We may, from time to time, edit or decline to publish your comment at our discretion due to a number of reasons, including the all-important legal ones. We also frown upon comment spammers! We ask that you keep yourself nice; be respectful of both your fellow readers and the artists you might wish to discuss in the comments section of any story. And we won’t be tolerating any form of discrimination around here, thanks. We reserve the right to amend our Terms Of Service at any time at our discretion.